The 3rd Street Gallery is pleased to present All Together Now! An Annual Members Exhibition featuring painting, sculpture, photography, printmaking, collage, mixed media, ceramic and fiber art. 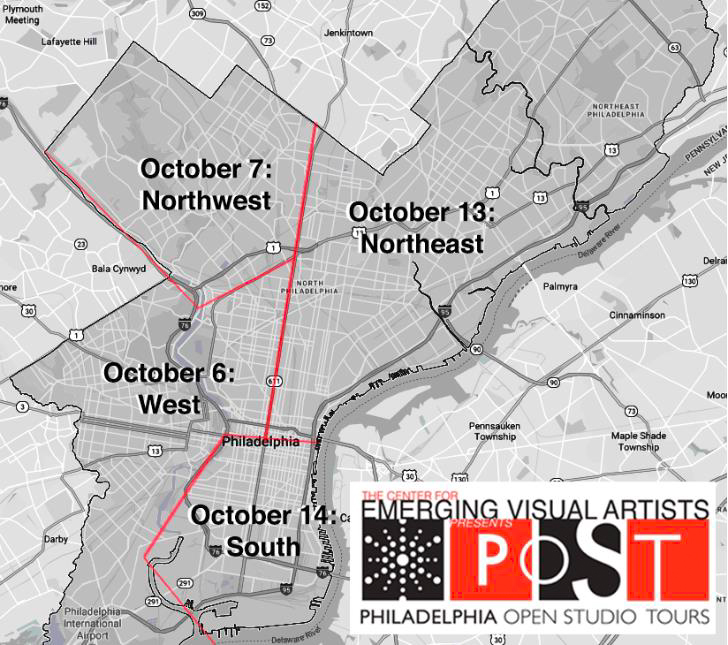 This exhibit coincides with the Philadelphia Open Studio Tours: POST 2016, a program of the Center for Emerging Visual Artists and one of the premier open studio tour events in the country. As a Community Partner with POST 2016, 3rd Street Gallery supports POST’s mission to foster community engagement with the visual arts in Philadelphia. In addition, as a Creative Partner of the Main Line Art Center’s “Panorama 2016: Image-Based Art in the 21st Century”, a project celebrating the photographic image and digital media, the 3rd Street Gallery Annex presents Remix: Integrating Art and Technology, an exhibit highlighting the work of those members who use photographic and/or digital art technologies or who blend traditional processes with photographic/digital media. An Artist’s Reception will take place on Sunday, October 9, 1-3 pm. POST 2016 weekend activities will take place Saturday and Sunday, October 22 and 23, 12-6 PM and will include art technique demonstrations, Artist Talks and a Drawing for a basket of art supplies. About 3rd Street Gallery: The Gallery has been in existence since 1978, opening in its first space on the corner of 3rd and Bainbridge in South Philadelphia. As one of the oldest artist-run fine art galleries in the City it has been home to thousands of Philadelphia artists. The members are a diverse group of artists of all ages and backgrounds. They are multigenerational, have advanced degrees in the arts as well as the sciences, work in diverse media from the traditional to the digital, range from the classically trained to the self-taught and include arts educators, award-winners, and artists whose work is collected by museums as well as by corporate and private collectors. About the Philadelphia Open Studio Tours: Each October, the Tours span 20 unique Philadelphia neighborhoods, feature over 300 participants, engage audiences topping 30,000, and introduce Philadelphia’s professional artists to locals and tourists alike. 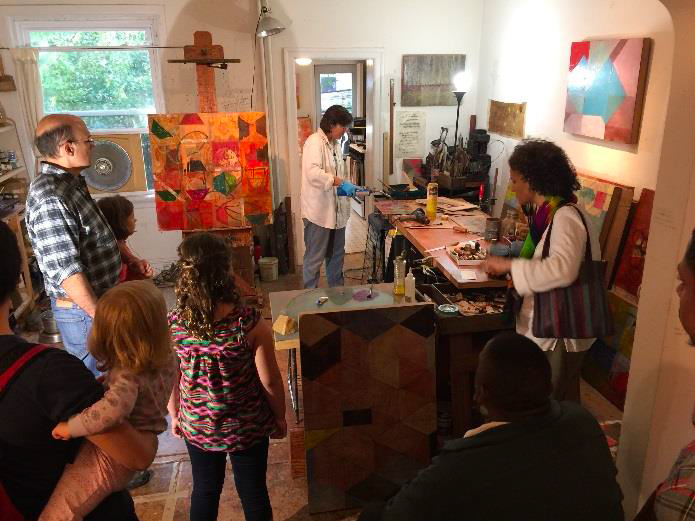 As an annual Fall festival of visual art, the Philadelphia Open Studio Tours includes self guided tours of artist studios and related creative workspaces, gallery exhibitions, demonstrations and workshops, artist talks, receptions, and guided tours. About Main Line Art Center: Main Line Art Center, located in Haverford PA offers visual art classes and contemporary and innovative exhibitions. Committed to increasing the visibility and accessibility of art, the Art Center also presents exhibitions and events in the community, including Panorama: Image-Based Art in the 21st Century, an annual celebration of the photographic image and digital media which last year featured 60+ events over the course of two months presented by the Art Center and its 35+ Creative Partners. This entry was posted in 3rd Street Gallery, Art, Art Galleries, Art in Philadelphia, Fiber Art, Fine Art Philadelphia, First Friday, Installation, Mixed Media Art, Open Studio Tours, Paintings, Paintings Philadelphia, Philadelphia, Philadelphia Abstract Art, Philadelphia Art, Philadelphia Art Galleries, Philadelphia Art Installations, Philadelphia Art Shows, Philadelphia Artists, Philadelphia Artists, Philadelphia Open Studio Tours, Uncategorized, Works on Paper and tagged abstract art, All Together NOW! An Annual 3rd Street Gallery Members Exhibition Celebrating Philadelphia Open Studio Tours 2016, Art, Art Installation, Constance Culpepper, DoNArTNeWs, DoNArTNeWs Philadelphia Art News Blog, drawings, Jim Stewart, Keith Sharp, Main Line Art Center, mixed media art, Nancy Halbert, Old City Arts District, paintings, Philadelphia, Philadelphia Art, Philadelphia Art Gallery, Philadelphia Art News, Philadelphia Art Shows, Philadelphia Artists, Philadelphia Fine Art, Philadelphia Open Studio Tours: POST 2016, Photography, Pia DeGirolamo, Tom Herbert on September 25, 2016 by admin1. Philadelphia artist Linda Dubin Garfield will participate in the annual Philadelphia Open Studio Tours October 25 & 26, 1- 5 PM at the Crane Arts Building, Studio 101, 1400 N. American Streets in Northern Liberties. On Sunday, participants will have the opportunity to do hand printing themselves using water- based inks as they did last year. 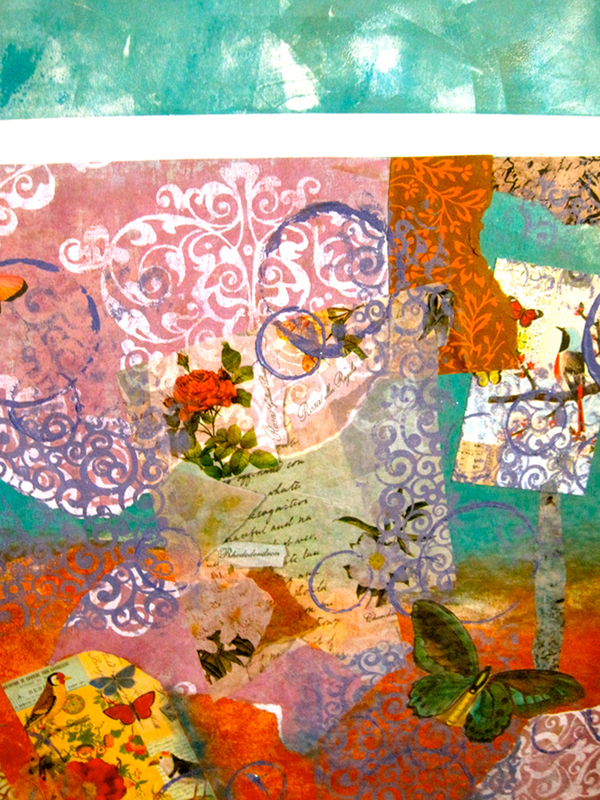 Linda Dubin Garfield will have framed and unframed original prints and mixed media work for sale at special POST prices. A percentage of proceeds from sales will benefit breastcancer.org. Breastcancer.org is a nonprofit organization dedicated to providing the most reliable, complete, and up-to-date information about breast cancer. Their mission is to help women and their loved ones make sense of the complex medical and personal information about breast health and breast cancer, so they can make the best decisions for their lives. Philadelphia Open Studio Tours, a program of The Center for Emerging Visual Artists, is the largest tour of artist studios and creative workspaces in the region and one of the premier open studio tour events in the country. Join us for the 15th Anniversary Party on Thursday October 9! This milestone Tour season also includes weekend self-guided tours East and West of Broad Street from Noon to 6pm; a series of special events; and Guided Trolley Tours. Need more info on how to navigate the Tour? Check out the Tour Planner. This entry was posted in Art, Art in Philadelphia, Art Spaces Philadelphia, ARTsisters, Center for Emerging Visual Artists, Crane Arts Center, Fine Art Philadelphia, Mixed Media Art, Open Studio Tours, Philadelphia, Philadelphia Abstract Art, Philadelphia Art, Philadelphia Art Galleries, Philadelphia Art Installations, Philadelphia Artists, Philadelphia Open Studio Tours, Prints, Public Art, Uncategorized, Works on Paper and tagged Art, Art Installation, Art News Blog, breastcancer.org, Da Vinci Art Alliance, DoNArTNeWs, Linda Dubin Garfield, mixed media art, Philadelphia, Philadelphia Art, Philadelphia Art Gallery, Philadelphia Art Shows, Philadelphia Artist, Philadelphia Fine Art, Philadelphia Open Studio Tours, smART Business Consulting, The Center for Emerging Visual Artists on October 7, 2014 by admin1.